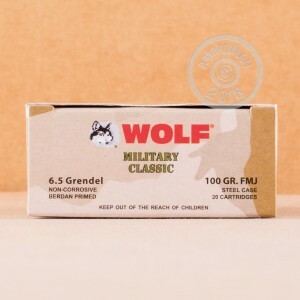 6.5mm Grendel just got a whole lot more affordable to shoot with the introduction of Wolf ammo in this versatile caliber. 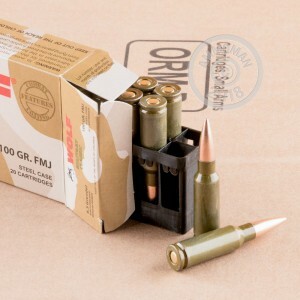 These cartridges fire a 100 grain bimetal jacketed bullet and deliver good accuracy for target shooting. Wolf ammunition is made in Russia using non-corrosive Berdan primers and non-reloadable steel cases with polymer coatings for more reliable cycling. Put your AR-15 through its paces and grab a few of these 20 round boxes. All orders over $99 at AmmoMan.com ship for free!